You are viewing Step 1 – This is an illustration of a hoof puncture wound. 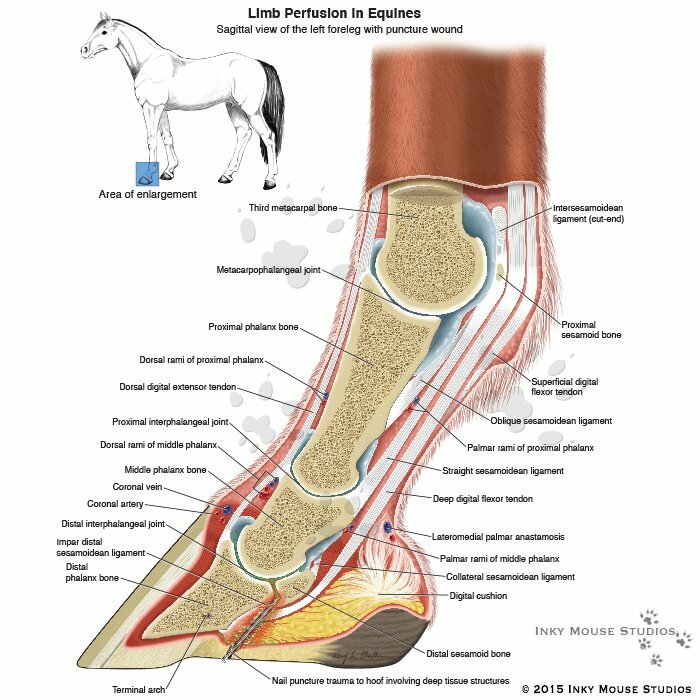 These types of injuries are complicated to treat because they are contained within the hoof capsule. There are many structures which are involved, all in close proximity to each other. Within this tightly confined space and any inflammation of soft tissues can lead to impaired blood flow, and an inability to treat systemically with antibiotics.